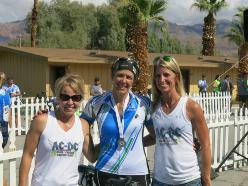 The Ride to Cure 2012 was amazing! 410 riders raised 1.2 million dollars for JDRF. Our team grew this year! It was wonderful to ride once again with last year's ACDC team members, to welcome my youngest son Andrew as well as Christy, Renelle, Zac and Ron to this experience. We don't just ride for Adam & Carson, we ride for MANY. 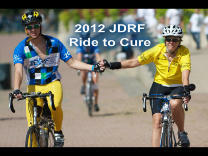 We ride for everyone with Type 1 diabetes. 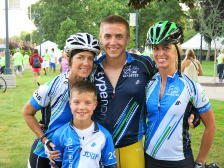 Our son Adam was diagnosed with Type 1 Diabetes in early 2010. Our dear friends' son Carson was diagnosed just one month prior. Team ACDC (Adam & Carson for a Diabetes Cure) was formed and we are determined to fight for a cure for our boys and all other living with Type 1. 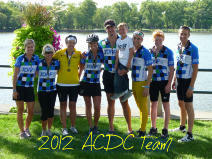 Our team participated in the 2011 JDRF Ride to Cure Diabetes, sharing the road with 400 other riders from all over the country, all with a common passion and commitment. 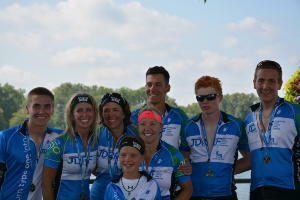 Their spirit and determination was amazing, yet the spirit was not targeted at riding 100 miles, the spirit was to rid the world of juvenile diabetes. We are proud to say we are part of that group. 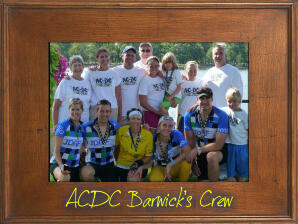 That group alone raised over 1 million dollars to fund research and find a cure. We will continue to ride for a cure and we won't stop pedaling until we find it! Team Sassy Strutters has participated in four Susan G. Komen Breast Cancer 3-Day walks (Twin Cities, MN), helping raise over 6 million dollars each year in the fight against breast cancer. We walked 60 miles in 3 days. We walked, we talked, we cried, we walked, we ate, we slept (in tiny pink tents), and we walked some more! We walked for the time when the battle will no longer be necessary. We walked for prevention, for a cure, for education & wellness, we walked because we are able. We walked because everyone deserves a lifetime!